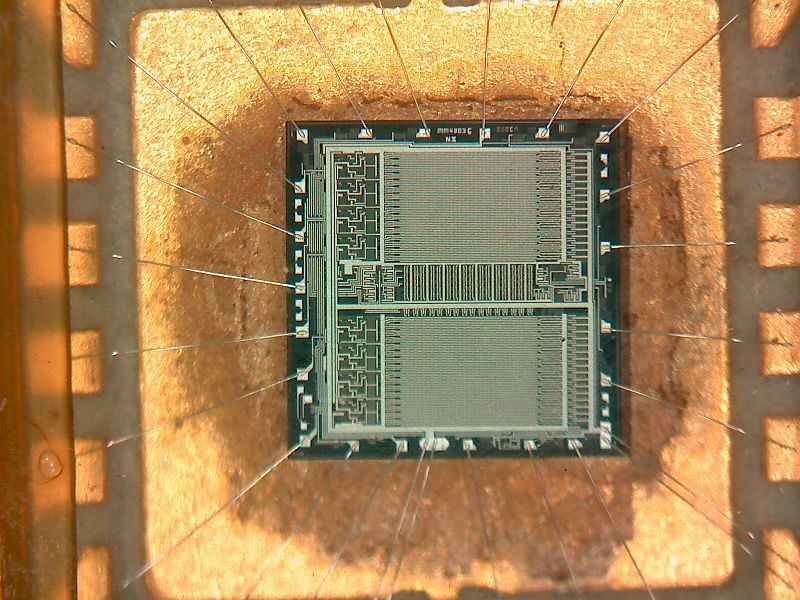 The micro-code in the HJS22 is implemented in five MM5203Q chips. To program these chips I had to built a programmer. In 1976 I didn't had a PC so I had to program all 256 location by hand. One mistake and I had to erase the chip and start all over again. The input and display of the programmer is octal, at that time I was unable to find a hex keyboard and hex displays. One micro word is 40 bits. 8 bits for 'Next Address' and 32 bits to control the whole machine. Bit 23 = 0. Bits 9 till 40 are defined as shown in the above figure. Bit 23 = 1. Bits 9 till 16 form together the next micro word address if the condition selected by bits 17 - 20 is true. If the condition is false the next micro word address is taken from bits 1 - 8. This pdf file (5 Mbyte) contains scanned pages of the hand writen micro code. Pages 1 - 4 Detailed description micro-word layout. Page 5 High level flow chart of the micro code. Pages 6 - 13 8 pages micro code.